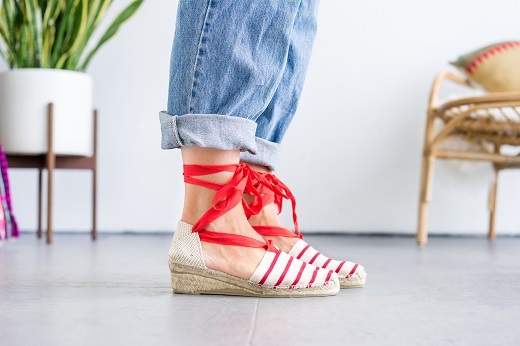 The Mediterranean espadrilles in Red Stripes boast a classic styled wedge with soft ribbon ankle laces. These wedges are slightly lower than our Ankle Strap Wedge, about 2 inches in height. They are versatile enough to compliment skinny jeans, mini skirts, summer dresses-you name it! All of our Laro espadrilles are handmade in Spain and are equipped with vulcanized rubber soles.